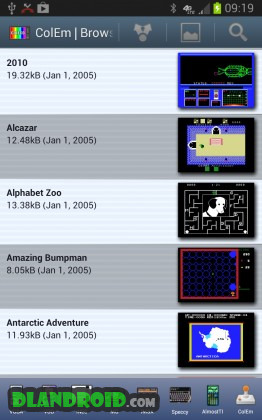 ColEm is a ColecoVision emulator. It runs Coleco games on your Android phone or tablet. Play Coleco games with Bluetooth joysticks, Xperia gaming buttons, Moga gamepad, or iCade joystick. Save game play at any time and restart once you get killed. Record ColecoVision music to MIDI files and use them as ringtones. Play with friends over WiFi or Internet, using NetPlay. 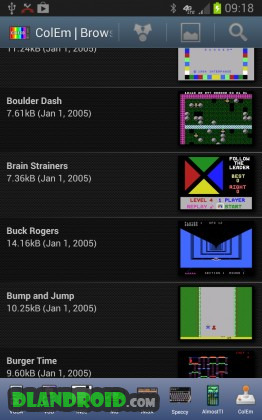 * Optimized for Android devices using assembler and 3D hardware, and running Coleco games at the fastest possible speed. 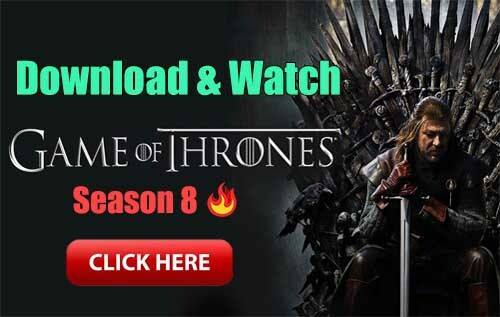 * Emulates joystick using touch screen, Bluetooth gamepads, Xperia gaming buttons, Moga gamepad, iCade joystick, physical keyboard, or accelerometer. 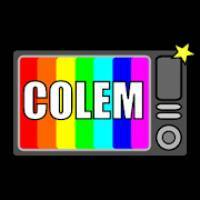 ColEm Deluxe is the full, premium ColEm version. In includes better joystick support, network play, and the ability to share your saved game play with other users. ColEm package itself does not contain any games. You should place your own game files onto the SD card before running ColEm. * Added “Settings | General | Hide Dot Files” option. * Added “Settings | General | Prefer App Folder” option. * Fixed “Completely Delete File” menu option.